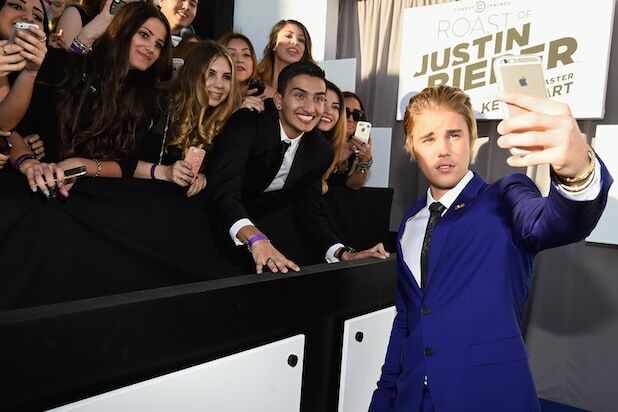 Justin Bieber broke a record Friday with new release “What Do You Mean?” becoming the fastest single to hit No. 1 on iTunes ever — and he had a little help from his famous friends. 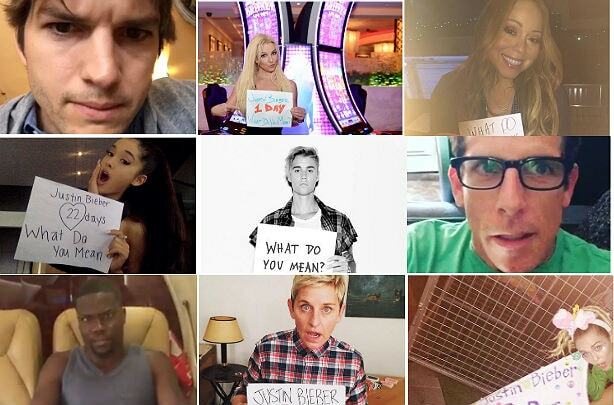 Bieber leveraged his massive social media presence and an impressive list of Hollywood and music stars to help promote his new single “What Do You Mean?” And with almost 67 million Twitter followers, who can blame him? The pop superstar had cleverly been uploading photos and videos of celebrities such as Miley Cyrus, Mark Wahlberg, Britney Spears and Ben Stiller counting down the days until he released the track. He will also perform the song live for the first time at Sunday’s Video Music Awards on MTV. Bieber will be performing alongside other top music artists such as Nicki Minaj, The Weeknd, Demi Lovato and Kanye West as MTV hands out the coveted Moonman awards. See a few of his well-known pals in their pictures and the complete list of who he recruited to help below.